It was a rainy day, the type where the clouds are heavy and full and the sun stays hidden. I adore when these days come around, Mother Nature's excuse to spend the day relaxed and indoors. Though I don't need to find a reason to bake, these long, gloomy days make it feel just right. The oven never runs the apartment too hot and freshly made cookies and cakes taste just a little bit sweeter. These days come as a surprise, a small reminder in a busy world to slow down and embrace the calm of a quiet day. Last weekend was the start of summer break. To celebrate, a round of drinks was in order. I have made it no secret that margaritas are my cocktail of choice and that statement still stands today. In the past, I have played around with winter flavors, but this occasion called for something a bit brighter. With mangoes on sale at the market, it became an easy decision. After whipping up a couple in the blender, my boyfriend and I toasted each other for the coming months. For sun, for hot afternoons, for cool evenings, for friends and family. 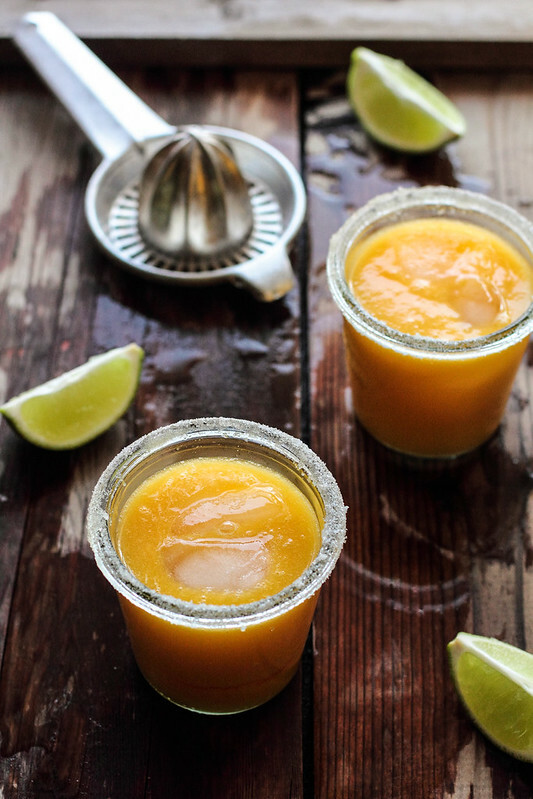 Mango Margaritas are a refreshing drink for warm summer nights. 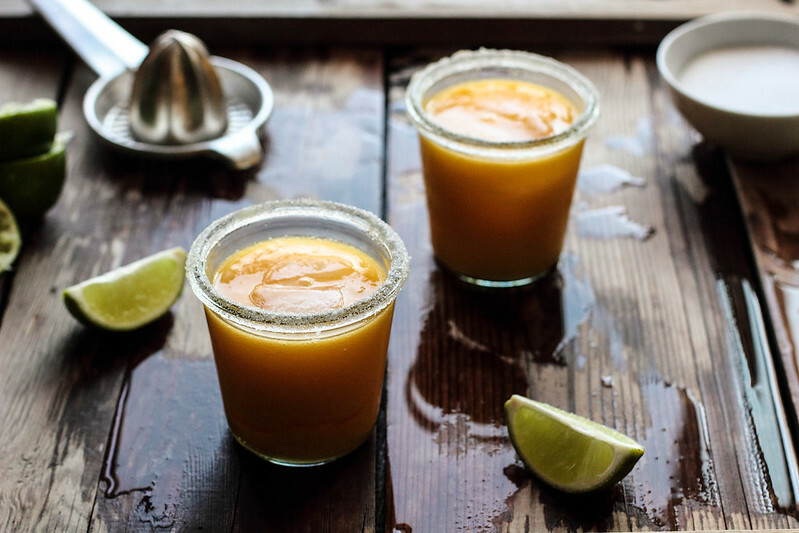 A traditional margarita is infused with the puree of fresh, ripe mango. With a squeeze of lime and a shot of triple sec, the fruity drink becomes lip-smacking tart. Though I found two teaspoons of sugar to be just right for me, you could add more or less to your own tastes. Serve on the rocks or blended to suit your own tastes. Margaritas are my favorite cocktail. There is no "when push comes to shove" or hesitancy in that statement. 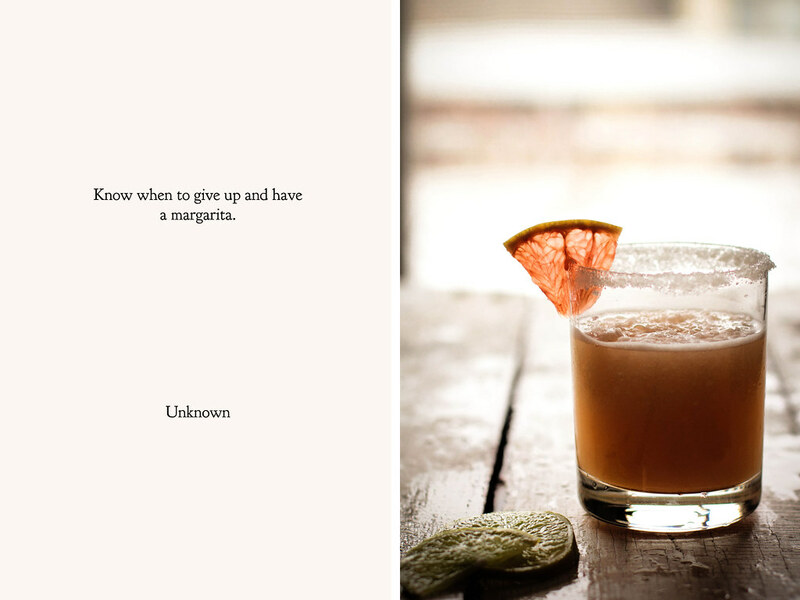 I declare it with the utmost certainty—I love margaritas. Truthfully, when celebrations come around, margaritas usually find a place in the mix, whether it be on the Fourth of July, ringing in the New Year, or reveling in turning twenty-five. Pair it with a side of chips and salsa and I'm yours. 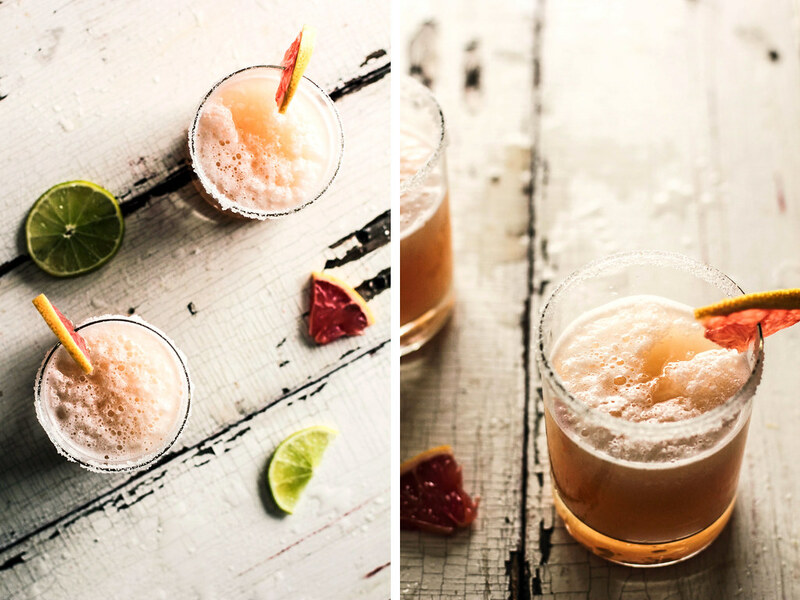 Though margaritas may come in every shade and flavor to match, the classic will always have a place in my heart. The tart and sourness of fresh lime juice never grows tired. 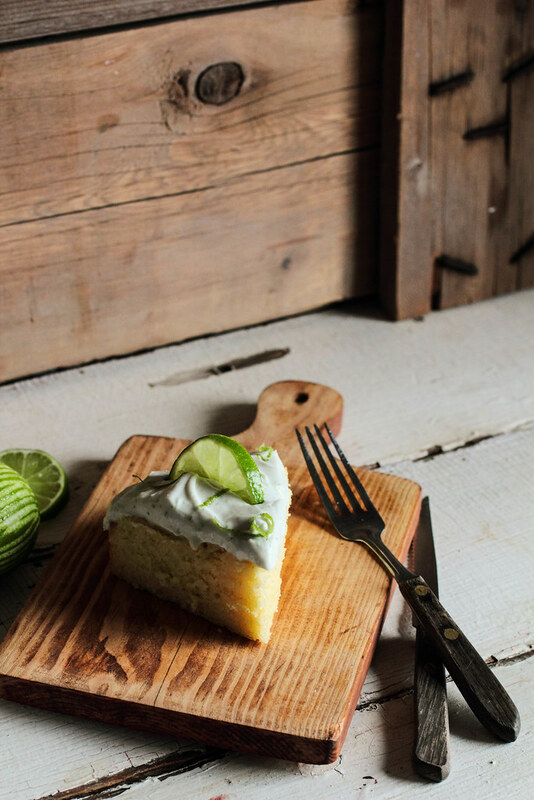 When it comes to boozy cakes, I don't like them to shy away from the alcohol. It's not that I am much of a drinker (which I am not), but if a cake is going to advertise itself as such, I'd like it to live up to my expectations. When I worked in a bakery, I had visions of opening my own "boozy bakery," providing cupcake cocktails in martini glasses. I dreamed of cupcakes infused with Kahula or red wine, and chocolate cupcakes with rum. While the dreams of my cake shop never grew to fruition, my boozy cake bakery idea stuck with me, settling somewhere inside my sugar-addled brain. 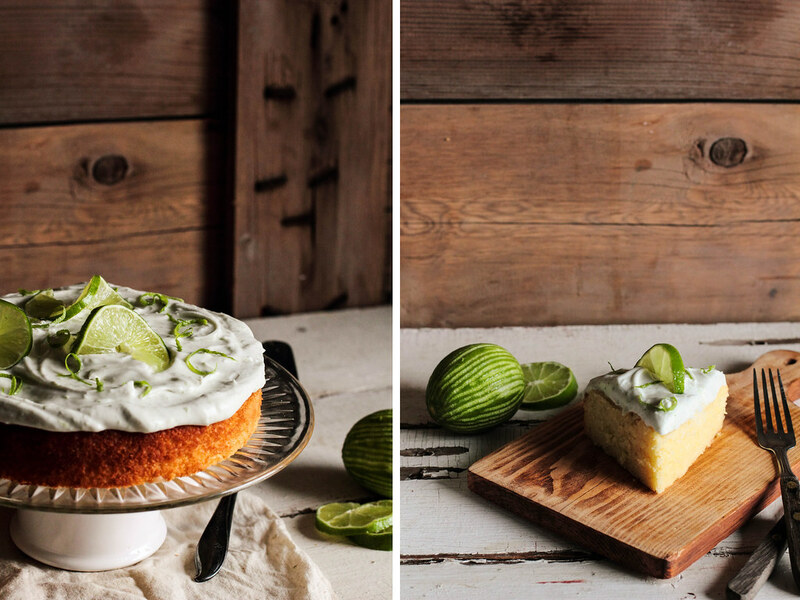 When I thought of making my own margarita cake, I consulted quite a few recipes on the subject. Some included a couple tablespoons of tequila in the batter, some brushed the top with it, but I felt that both of these options did not give enough to fulfill my lofty expectations. Whenever this happens, I set out to do something completely different. There is not only alcohol baked into this particular cake, but it is soaked into the finished product. While lime may be the primary flavor, the tequila isn't too far behind, providing a subtle taste and tingling taste buds. Cocktail cakes should never fail to please. 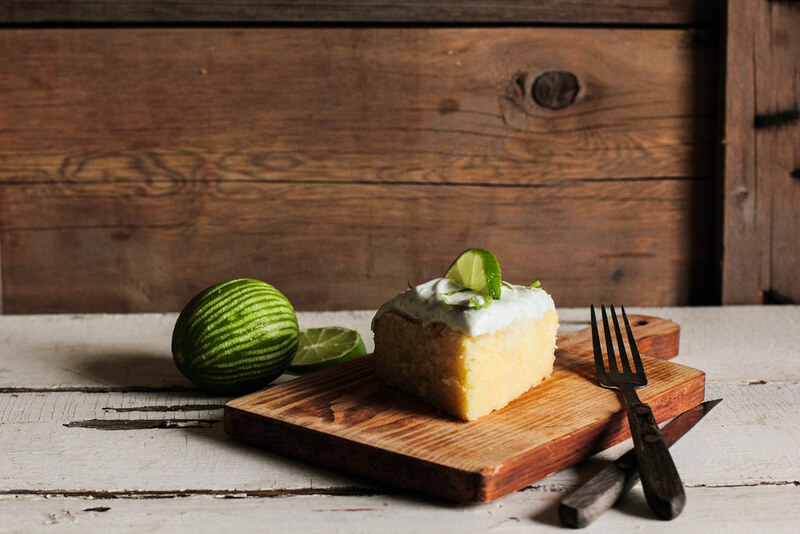 This Boozy Margarita Lime Cake is a celebration of lime and tequila. Fresh lime juice and zest find their way into the batter (along with the alcohol to make a margarita complete). 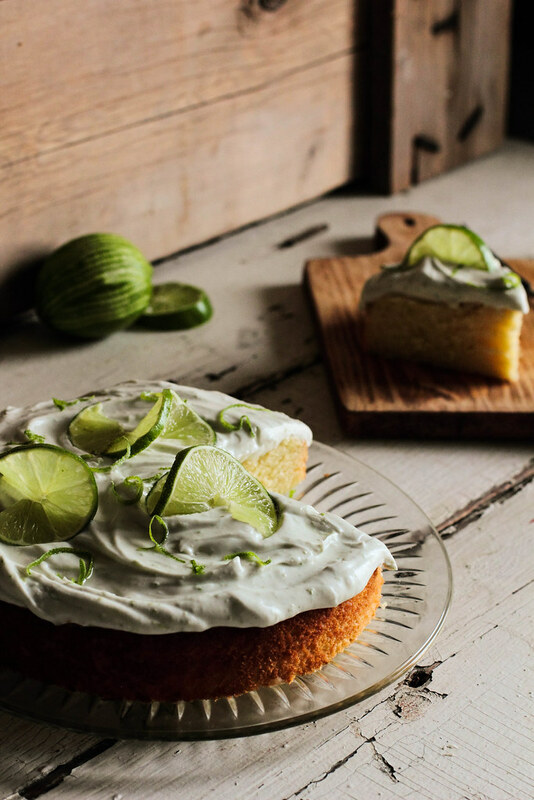 When finished baking, the cake is soaked in tequila and orange liquor to give it a little extra zing. 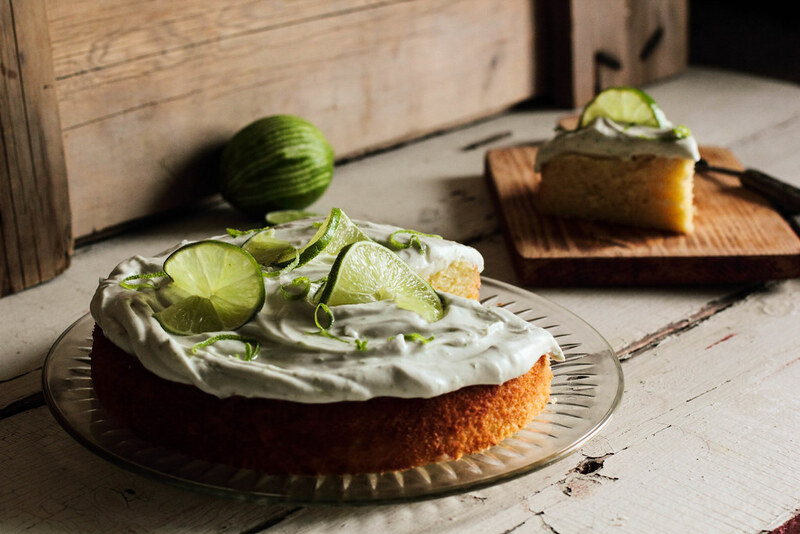 Topped with a lime coconut whipped cream and slices of citrus, the cake goes from ordinary to extraordinary. 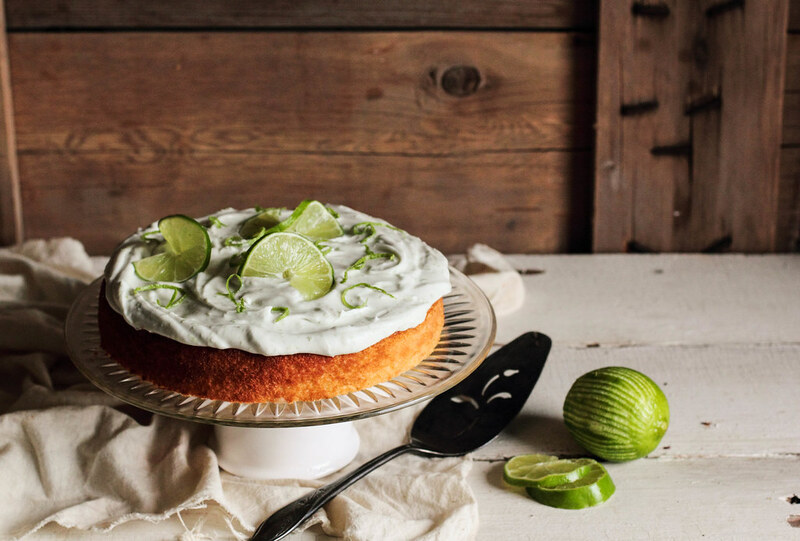 This cake makes for the perfect end to a Mexican meal or fabulous dinner party. It's been one of those weeks. We've all had them at one point or another. Tuesday feels like Wednesday and Wednesday feels like Thursday and somehow the week still isn't over yet. While the days often seem to skate by quickly, spinning circles around me before I have the chance to catch my breath, this week has come to a jarring halt. The hand on the clock moves so slowly between my frequent glances that I periodically wonder if the hands have stopped moving altogether. I keep asking myself, is it Friday yet? I have never been much for alcoholic beverages, but I do make an exception for the occasional glass of red wine or salt-rimmed margarita. While a glass of wine nicely rounds out a weekend evening, I have always reserved margaritas for more festive occasions. 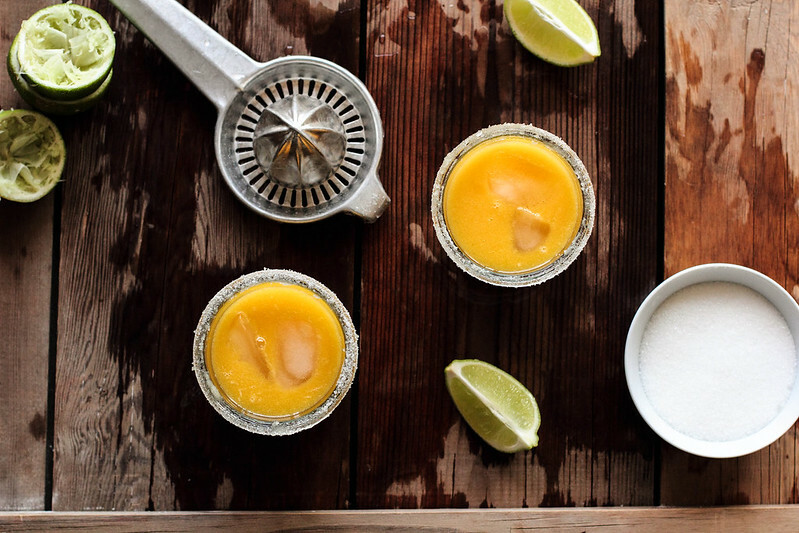 Margaritas tend to pop up on hot summer evenings when the dinner party guests have been fed or when the glasses are clinked to celebrate another Fourth of July. The best margarita I ever had was savored after a long day of skiing in the mountains—blended, with lime. 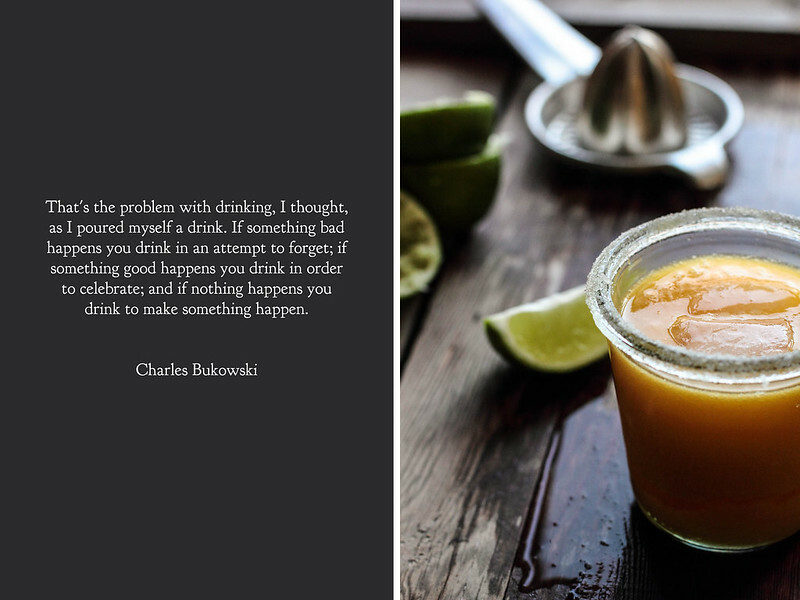 Margaritas have an intrinsic sense of community built into their nature; they are meant to be enjoyed among friends. 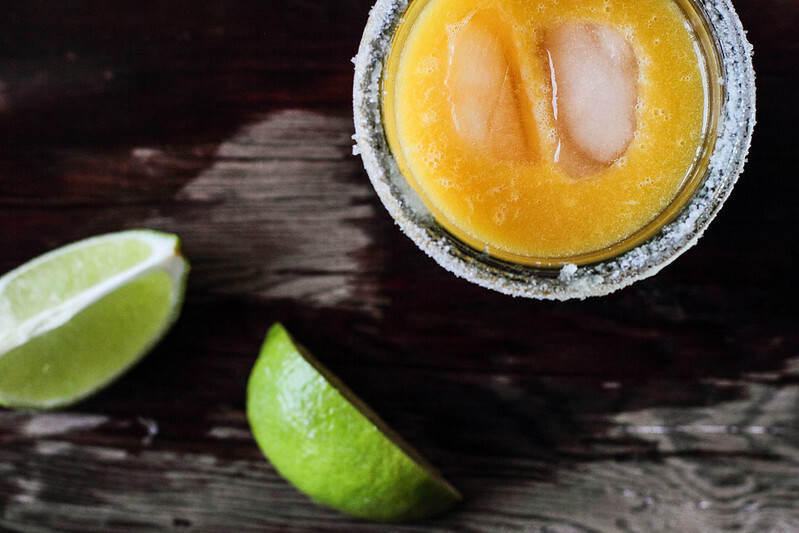 Though there were no holidays to celebrate or gatherings to toast, these margaritas made an appearance to bring a spot of joy into an otherwise simple evening with my family. With snow on the ground and flurries falling from the skies, I felt as if the classic lime version could use a seasonal update. Grapefruit has quickly become a fruit that I identify with cold weather. Not only is it in season, but the tartness of the citrus so effortlessly mimics the quality of a biting winter wind. 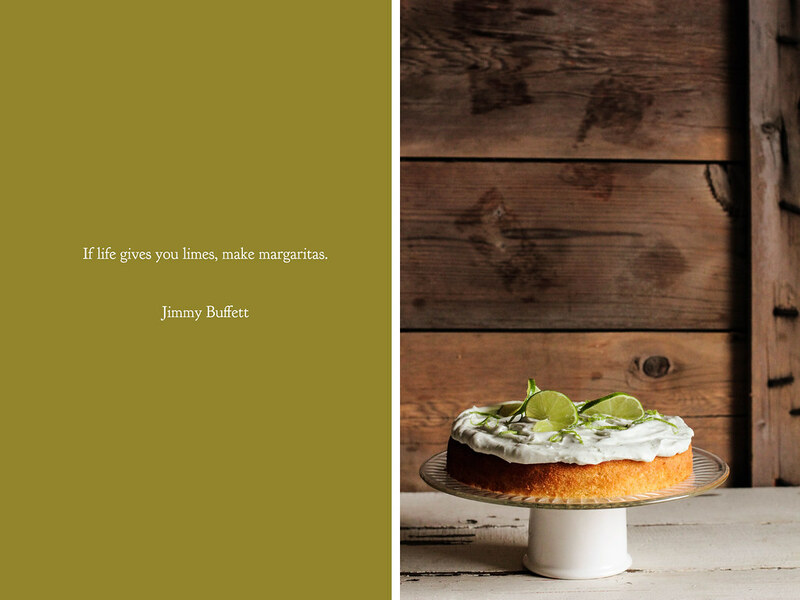 The lime only furthers this quality, which gives the margaritas a bright, vibrant character. And so I raise my glass to you, dear friends, thankful that tomorrow the weekend finally begins. 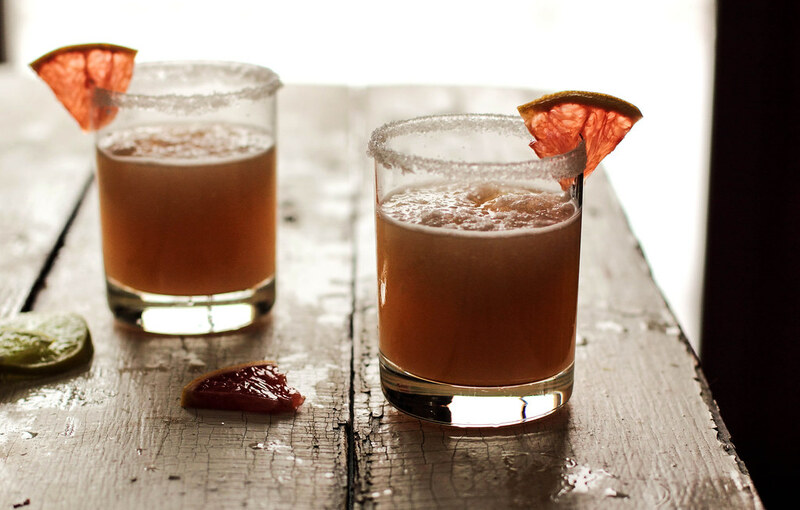 Grapefruit Margaritas are a welcome drink after a long work week. 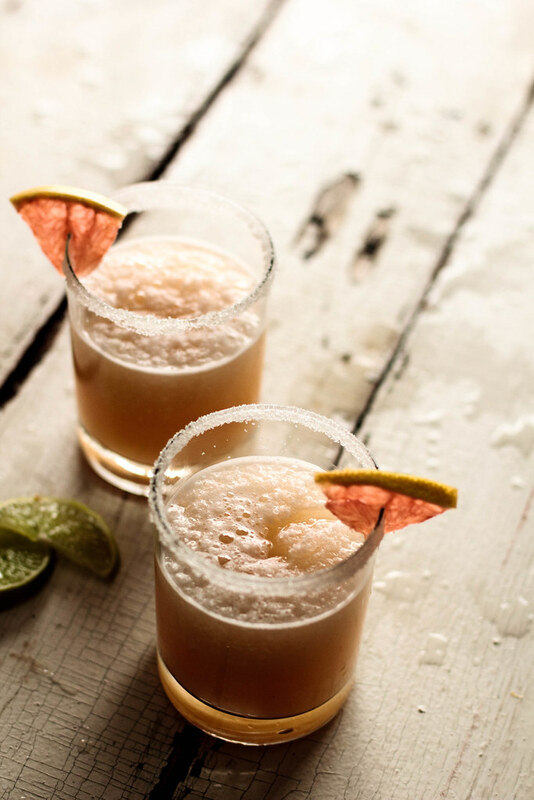 Freshly squeezed grapefruit and lime juice are joined by tequila and triple sec to create this unique beverage. The margaritas are quite tart (which I adore), but a teaspoon of sugar may be added to each drink to tone it down for those of you who are not so keen on such a biting flavor. Instead of salt-rimmed glasses, I rimmed these with sugar to bring out a bit of sweetness whenever you decide that you may need it. Pastry Affair takes a rustic, honest approach to food. There may be a few rough edges, imprecise cuts, and crumbs sprinkled around the table, but that is what makes it feel like home. Designed for the home baker, Pastry Affair features recipes covering everything from cake and cookies to Sunday brunch. It is a space where you will find a generous amount of butter and sugar, photography, and a whole lot of life.